Many websites store different variants on the same page, sometimes containing different prices depending on the product, making it harder to track specific variants. For example: You want to track the Box of 12 coconut chocolate bars. The URL at the top of the page does not change though, depending on what options are selected. Currently the app can only track variants with one dropdown or clickable option, but we are hard at work with the option to track variants with multiple selections on the page. Price Strategies let you set an automated price update to always keep you competitive. But sometimes one of your competitors has extreme sales, or you are tracking a supplier and wish your strategy would ignore your supplier. Now you can do just that. 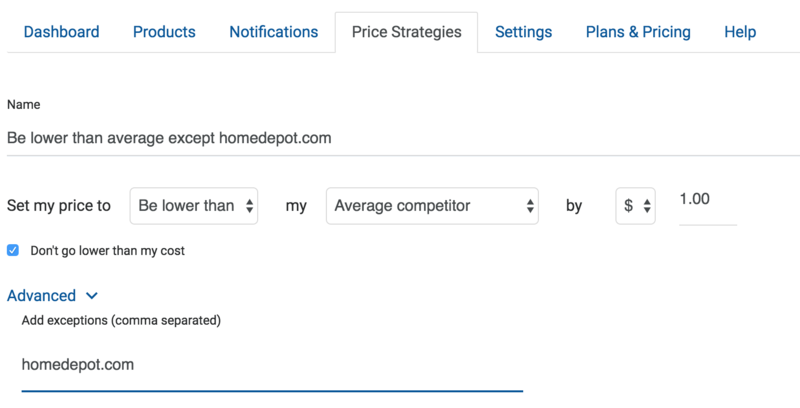 In the advanced section of price strategies you can now set exceptions to each strategy: For example add a domain (homedepot.com) to ignore only that domain, or add just homedepot and it will ignore all homedepot URLs be it .com, .ca, .co.uk etc. 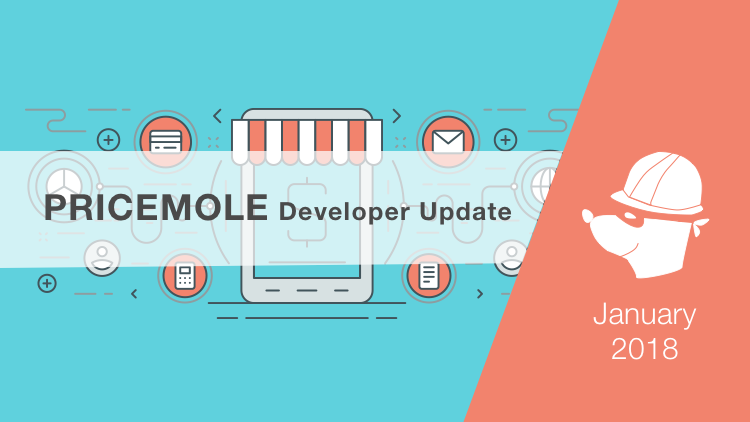 Additionally to price strategy exceptions, you can now add price strategy adjustments. 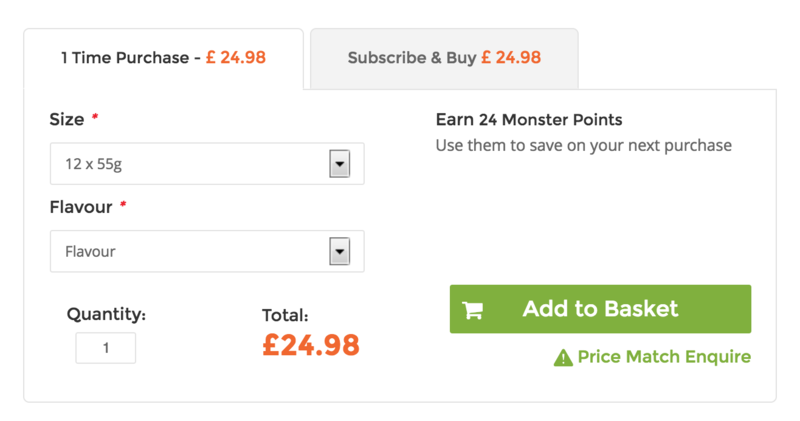 For example the Price displayed on your competitors site does not include tax, but you wish it would consider a price with tax. 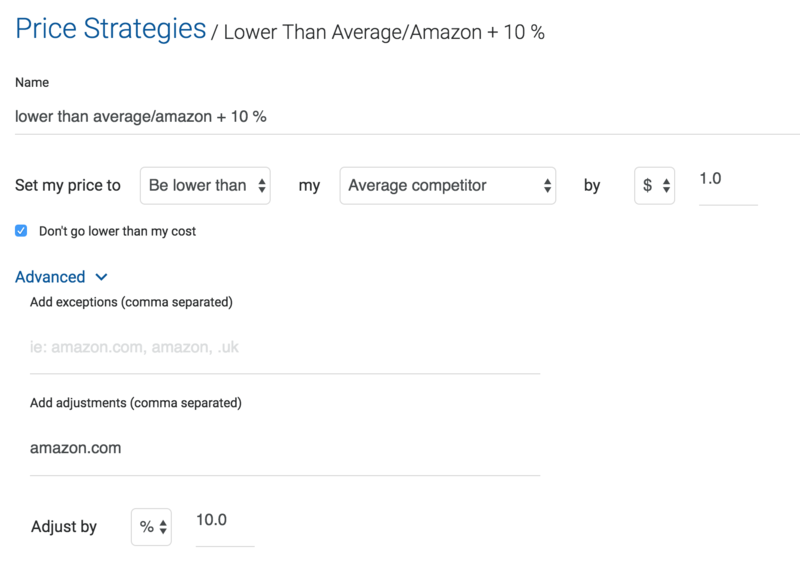 WIthin the Strategy you can now set "Add 10% to amazon.com" before setting my price strategy. Now before your price updates, it will add 10% to amazon’s price and then run your strategy.